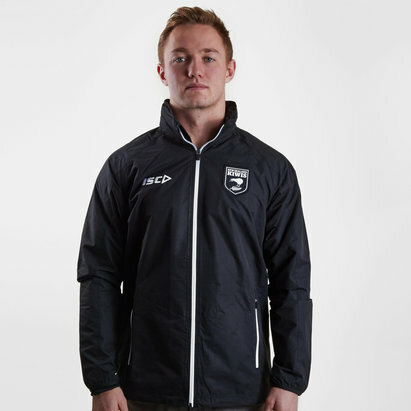 Show everyone you're supporting the Kiwis when this New Zealand Kiwis 2018/19 Padded Rugby Gilet from ISC. The New Zealand Kiwis have represented New Zealand in rugby league since 1907. They are commonly known as the Kiwis, after the native bird of that name. The New Zealand Kiwis are currently second in the RLIF World Rankings. Since the 1980s, most New Zealand representatives have been based overseas, in the professional National Rugby League and Super League competitions. Before that, players were selected entirely from clubs in domestic New Zealand leagues. 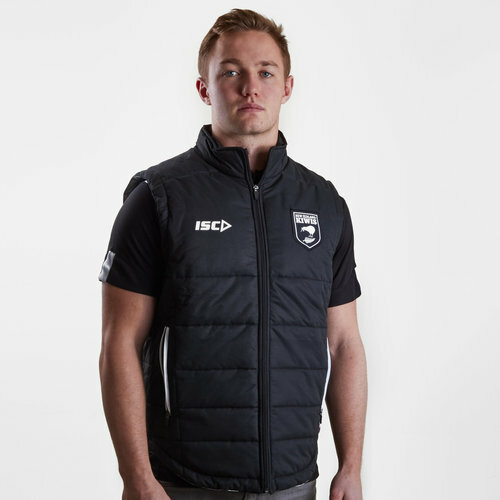 This gilet sticks to tradition by using the sides black and white colours. Sure to add a.layer of warmth this gilet is the perfect garment to wear to a game or generally out and about. It has been finished with the ISC logo on the right and the team crest on the left.